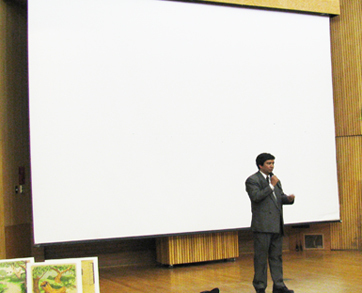 At the invitation of the Departments of Language & Literature, and Film & Media Arts, University of Utah, Manick Sorcar was the guest speaker at the screening of his animation classic “Deepa and Rupa: A Fairy Tale from India” at the Orson Spencer Hall located inside the university premises. 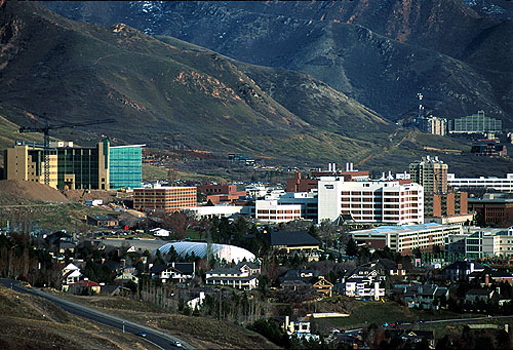 Founded in 1850, University of Utah is located in Salt Lake City in the foothills of the Wasatch Mountains. It serves over 31,000 students from across the U.S. and the world. 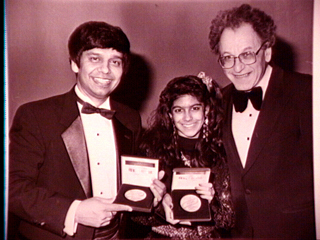 Sorcar’s film was of special interest to them not only because the Gold Plaque winner at the 26th Chicago International Film Festival was India’s first animation mixed with live performance, but also because it was different from traditional Bollywood films. “We thought it might be interesting for the students to show them the other side”, wrote Dr. Christine Everaert, Asst. Professor of Hindi-Udru at the Dept. of Language and Literature, “where an Indian making films here in the Rocky Mountain States, trying to raise awareness about Indian culture”. The Department of Languages and Literature is the largest and most diverse in the college, culturally and programmatically. They are committed to fostering a critical and comprehensive understanding of diverse cultures through the study of their literature, language, film, art, history, and socio-political contexts. 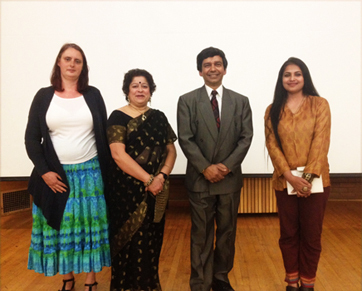 Deepa & Rupa was of equal interest to the Film and Media Arts Department as their projects include collaboration with the Salt Lake Film Society to introduce award-winning and challenging films from around the world to students. The screening of the animation film was attended by students, animators, film enthusiasts and teachers including Prof. Chris Lippard, Chair, Graduate Studies, Film and Media Arts Department, who also brought his children to watch the show. At 3:45 pm, the program started with a short speech by Dr. Christine Everaert who introduced Manick Sorcar and handed the wireless microphone. Sorcar gave a short speech narrating how the low-budget, high-quality film was started in an attempt to attract his two little US-born daughters to Indian culture, and how after its premiere at the Rocky Mountain PBS Channel it went on getting international accolades, rave reviews from the schools, press and media, a national telecast in India and became the cultural bridge between East and West. 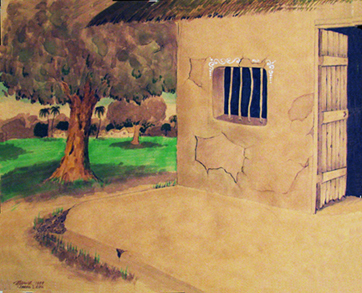 Two background scenes from Deepa & Rupa 'painted' with oil-based color markers in water-paint style on news-print papers. This avoided a string of problems such as paper warping with water-paint and refletion from glass plate. wrote the Rocky Mountain News on April 27, 1991. After the show was over, Sorcar described his childhood days in India when he and his four siblings would rush to the bed of their grandma to hear stories. “She was a great story-teller and I loved the story of ‘Deepa and Rupa’, which came from the original ‘Shukhu and Dukhu’ a Bengali tale from The Thakurmar Jhoooli (Grandma’s Bag of Tales)”, said Sorcar. Through the question and answer session, he explained the different problems he encountered and how he overcame developing unique techniques through trial and error to keep the cost low. He displayed the original artwork of some of the background scenes of the film that were hand-painted with oil-based markers in water-paint style on inexpensive news-print papers. “Don't forget this was before the era of Photoshop and scanners. 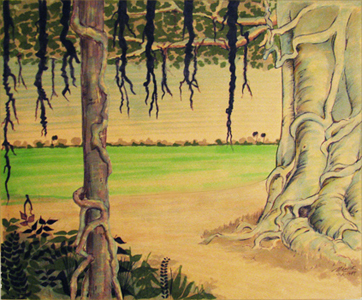 The background scenes still needed to be painted by hand and captured by a camera to be transferred to the computer”, said Sorcar, “Water-painting on art-paper gave the traditional problem of warping, which required the placement of a glass plate on it to hold it flat. But that produced the reflection of the light sources making it difficult to shoot. The oil-based painting on cheap news-print papers instantly solved all that problem”. Sorcar said the technique of Chroma-Kee to combine live action with animation got him so excited that he couldn’t sleep at night. “Little did I know that time it was going to be India's first animation mixed with live action. In my imagination I could see the animated Indian cow with large black eyes and long horns conversing with live Rupa, or Mr. Banyan talking from above among the leaves – they were so exciting! Mixing art with science was my dream, and I knew nothing was going to stop me”. 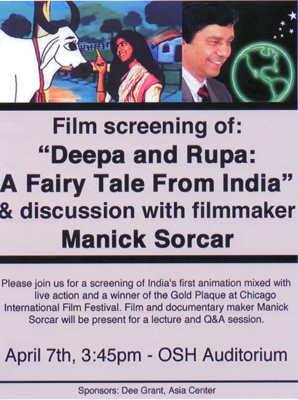 'Deepa & Rupa: A Fairy Tale from India' received a host of awards from international film festivals. 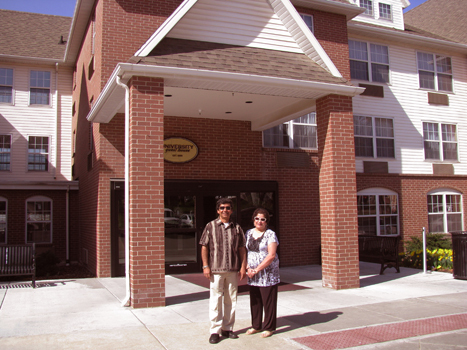 A complete list can be found here.